My printed Jungle Room cushions just arrived in the mail! I am super chuffed with the quality. The colours are spot on and they are printed on a soft linen textured fabric, not too dissimilar to a backcloth which I love! I've attached some close up pics of the fabric below to show the texture. The same image appears on the front and back and they are finished with an invisible zip. Sweet! 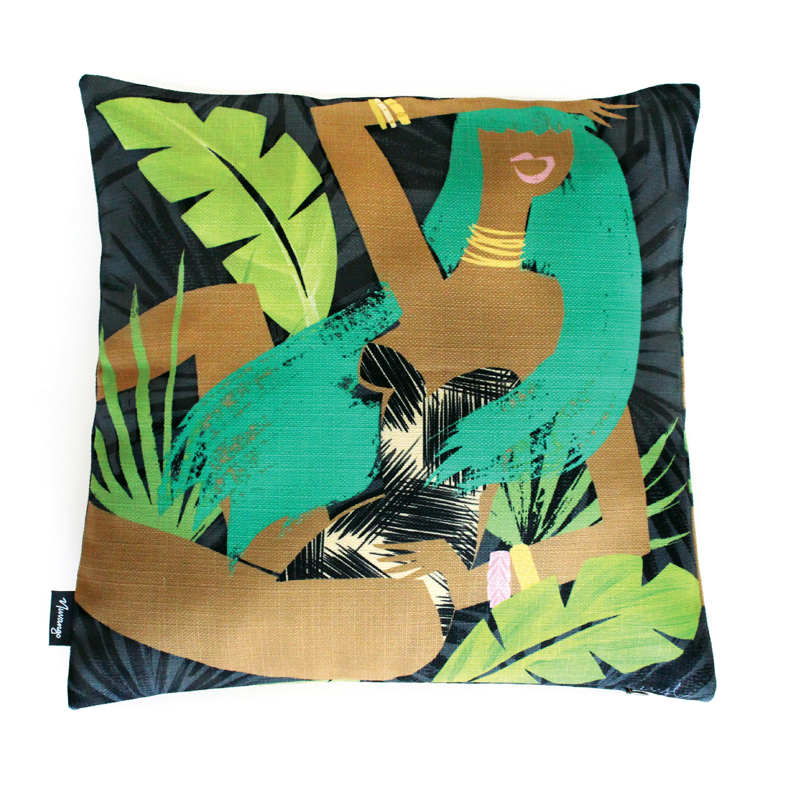 There will be more designs to come but I currently have just a few of the Jungle Room cushions 16" x 16" (41 x 41cm) available for sale in the shop, retailing for AUD$55 plus GST. Sold without the insert. Registered postage in Australia is $7.50. International postage with tracking is $23. 20% OFF PRINTS BIRTHDAY SALE! It's birthday month so I'm celebrating with a sale. 20% off store wide! That means big savings especially on the big prints. Ends Sun 19th April at 9pm AEST. Use promo code BIRTHDAY at checkout. International shipping available. Here are some photos to show sizing of the larger prints. The A0 is a whopper. More large print designs will be coming to the shop soon! Please be sure to subscribe to the blog to hear all updates and news on future sales.